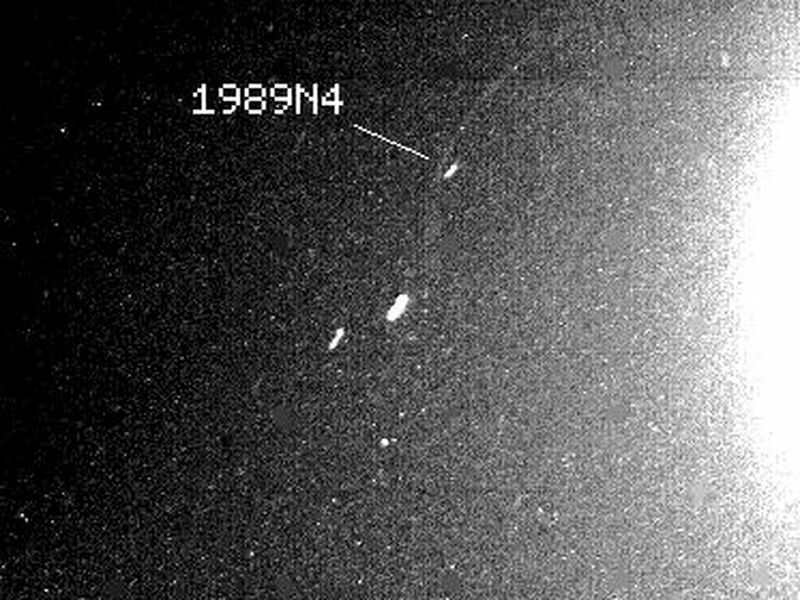 M. Wolf discovered asteroid #809 Lundia. K. Reinmuth discovered asteroid #1097 Vicia. K. Reinmuth discovered asteroid #2097. The Discoverer 13 re-entry capsule was retrieved and became the first successful recovery of a spacecraft from Earth orbit. USSR launched Vostok 3 carrying Andriyan Nikolayev, the third Soviet cosmonaut to orbit Earth. Vostok 3 (call sign Sokol/Falcon), the third spacecraft in the USSR's manned flight series, was launched 11 August 1962, piloted by cosmonaut Andriyan G. Nikolayev. The spacecraft consisted of a nearly spherical cabin covered with ablative material. There were three small portholes and external radio antennas. Radios, a life support system, instrumentation, and an ejection seat were contained in the manned cabin, which was attached to a service module that carried chemical batteries, orientation rockets, the main retro system, and added support equipment for the total system. The service module was separated from the manned cabin on reentry. The flight lasted approximately 94 hours, during which 64 orbits were completed. The spacecraft flew in an orbit close to Vostok 4 for 70 hr 28 min. As with the other Vostoks, cabin TV photography was obtained. A series of scientific and biomedical experiments was performed during the flight. The spacecraft landed on 15 August in the Karaganda region at 48:02 N 75:45 E. Vostok 3 and 4 landed successfully six minutes apart a short distance from each other. Vostok 3 was a joint flight with Vostok 4, the first such flight, where Vostok capsules were launched one day apart, coming within a few kilometers of each other at the orbital insertion of the second spacecraft. The flight was supposed to occur in March, but following various delays, one of the two Vostok pads was damaged in the explosion of the booster of the third Zenit-2 reconnsat in May. Repairs were not completed until August. Vostok 3 studied man's ability to function under conditions of weightlessness; conducted scientific observations; furthered improvement of space ship systems, communications, guidance and landing. Immediately at orbital insertion of Vostok 4, the spacecraft were less than 5 km apart. Popovich (in Vostok 4) made radio contact with cosmonaut Nikolayev, who reported shortly thereafter that he had sighted Vostok 4. Since Vostok had no maneuvering capability, they could not rendezvous or dock, and quickly drifted apart. The launches gave the launch and ground control crews practice in launching and handling more than one manned spacecraft at a time. Nikolayev took color motion pictures of the Earth and the cabin interior. Nikolayev later married Valentina Tereshkova, the first woman in space, under pressure from Primier Nikita Kruschev. L. Chernykh discovered asteroids #1832 Mrkos, #1833 Shmakova and #1975 Pikelner. USSR Zond 7 flew past the Moon at a distance of 1984.6 km and conducted two picture taking sessions. Hans-Emil Schuster discovered asteroid # 3266 Bernardus. The Double Eagle II, piloted by Ben Abruzzo, Maxie Anderson, and Larry Newman, took off from Presque Isle, Maine on what would become the first successful balloon crossing of the Atlantic Ocean. NASA's Voyager 2 discovered two partial rings of Neptune. NASA's STS 43 (Atlantis 9, 42nd Shuttle Mission) ended after carrying TDRS-E to orbit, and flying the SSBUV and SHARE-II experiments.